Posted this a few days ago on my Honeyee.com blog, but wanted to make sure it got on the life blog as well. 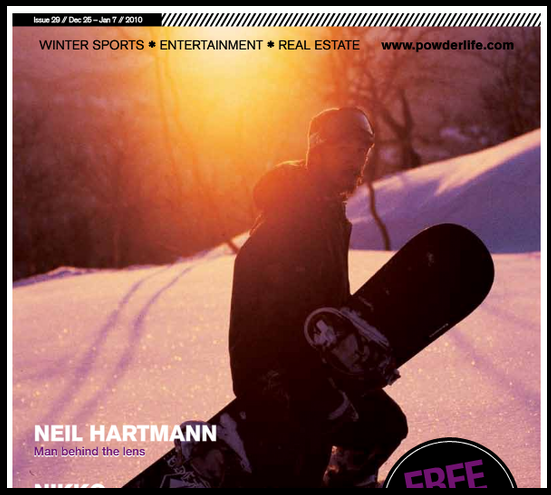 Big thanks to Niseko Powderlife magazine for including me in their new issue! Chief editor Lizzy was nice enough to contact me about doing an interview. She had some good questions and I did my best to answer honestly. The publication is in Japanese and English so everyone can read it. 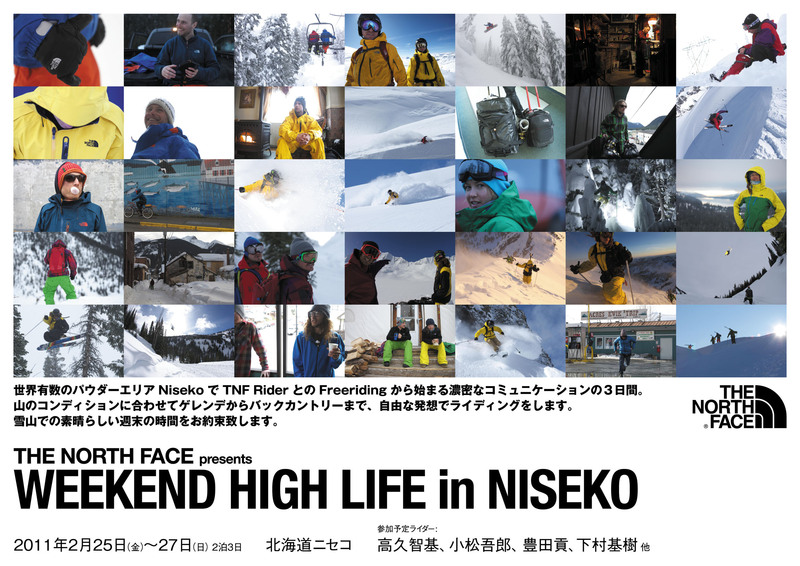 If you are not in the Niseko area you can read the whole magazine on line here. I was also very happy to get a cover shot along with the interview. A photo from my book BLUETiFUL that I shot about 10 years ago at Asahidake. Yamauchi Kazushi. 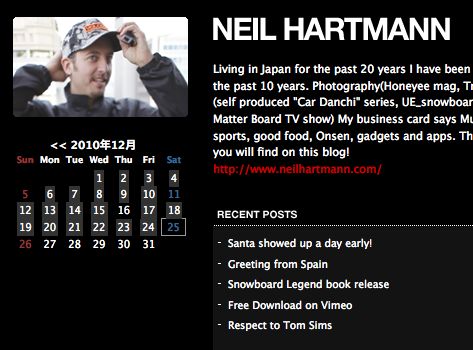 Thanks again and look forward to see the Niseko crew in the new year! 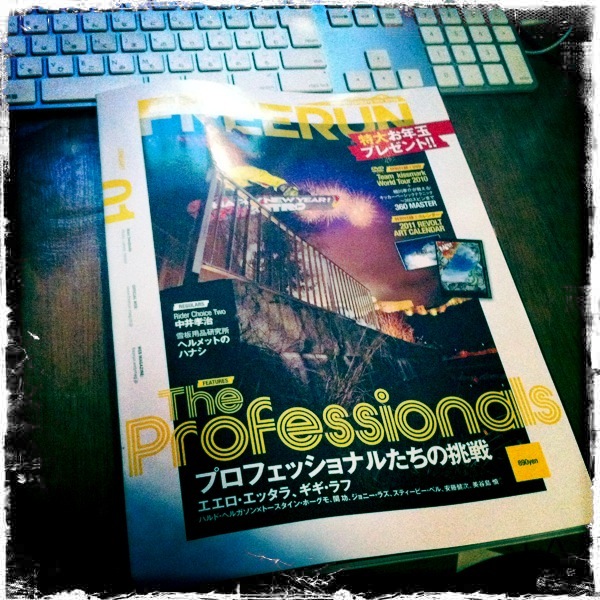 A big thank you to Freerun magazine and also to LJ a free magazine that you can pick up at music stores and more around Japan. 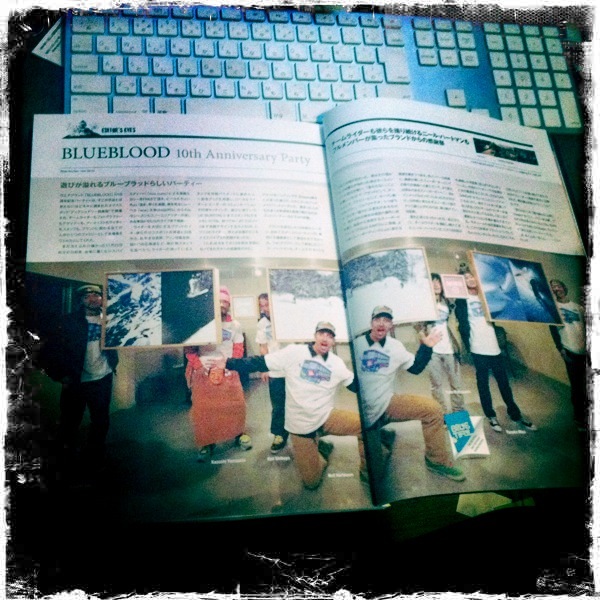 Freerun did a nice two page spread covering the Blueblood 10th anniversary party that was held in Tokyo last month. 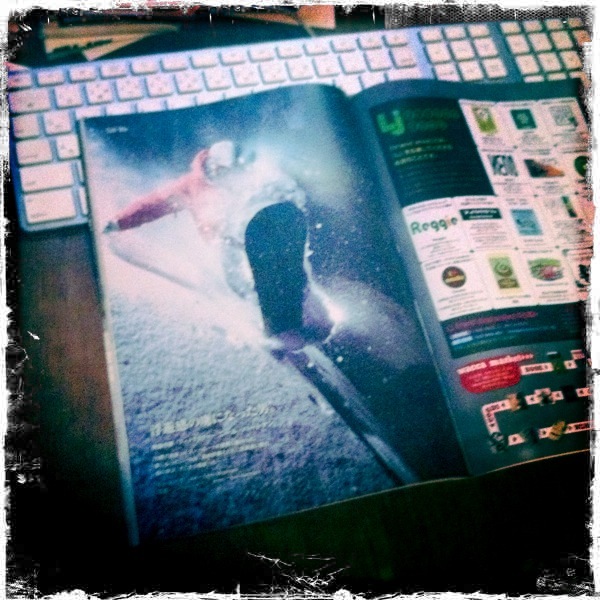 Also big thanks to LJ for a nice interview and feature in their latest issue. 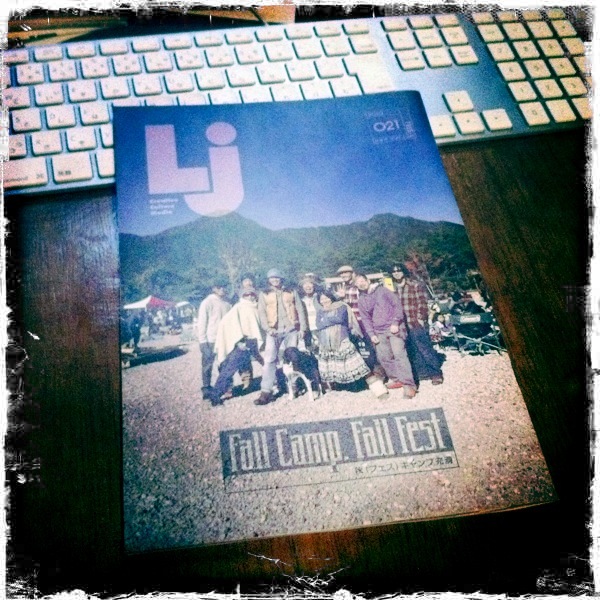 This is a cool magazine that covers music mainly music festivals and also camping gear and locations. It is free and you can find it at Tower Records and lots of other cool shops and cafes. If you read the interview and feel a sudden urge to buy a copy of my book “BLUETiFUL”. 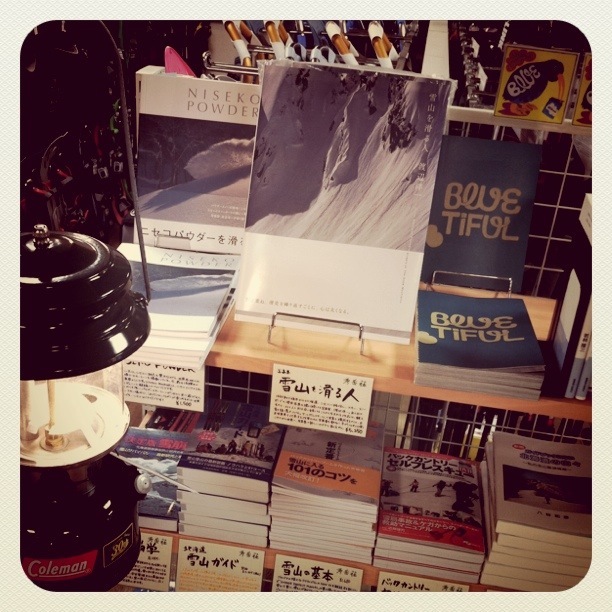 You can find a copy at Shugakuso in Sapporo. I went there today and confirmed that they have three copies still for sale! 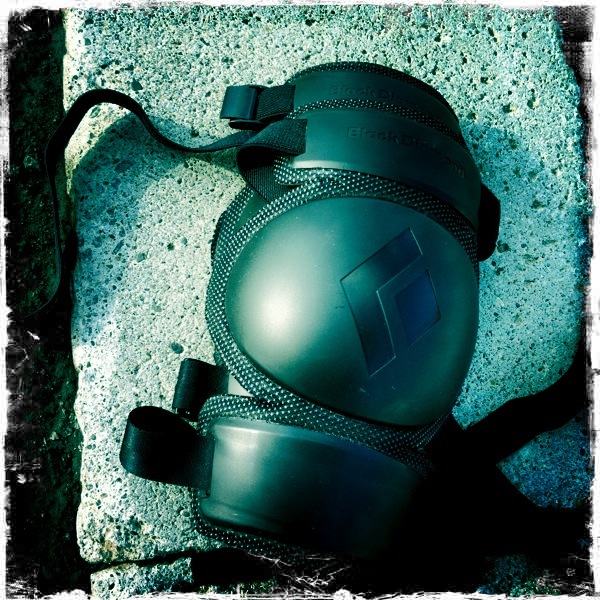 Last week at NAC in Niseko I picked up a pair of knee pads to use when snowboarding. made by Black Diamond they are called Telekinesis so I am guessing they market them to Telemark skiers, but they will work for anyone. Today I finally got to try them out. Very very pleased. I cracked my knee cap last season in a stupid accident with a snowmobile, if I had had that knee protector on I am sure the outcome would have been different. Basically I don’t want to miss another season so this year I am not going anywhere without some knee protection! I highly recommend this product to anyone doing winter sports. 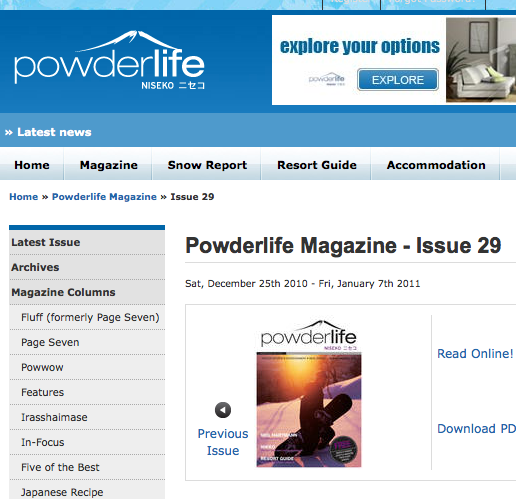 Thanks for all the nice comments about the Kevin Pearce interview I posted on the blog last week. Glad to see that people are taking the time to read it! Time for the next one in the Burton interview series. 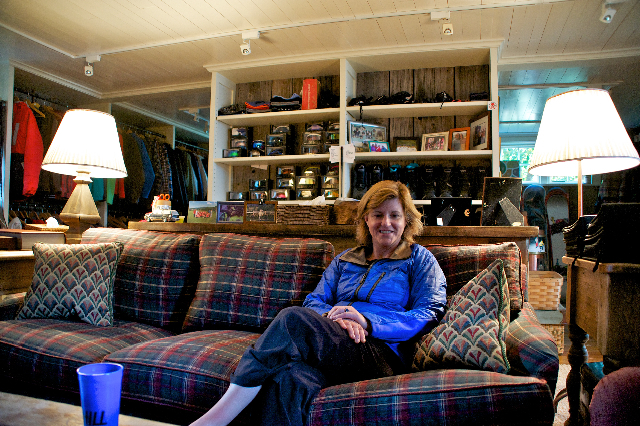 Up next is Donna Carpenter, Jake Burton’s wife and lifelong working partner in Burton Snowboards. 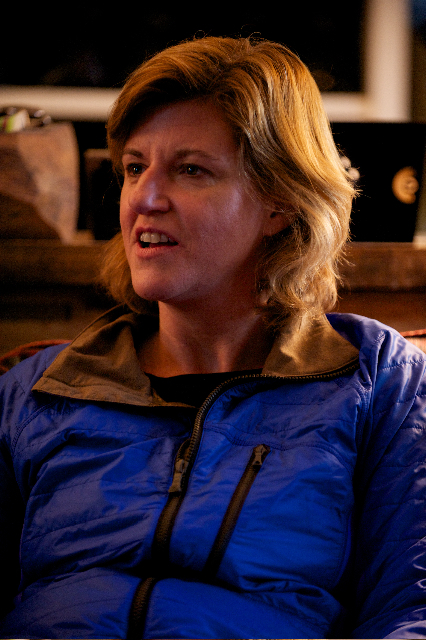 I was able to sit down with her for about 30 minutes at their home in Vermont the day of the fall bash. The Fall Bash is a huge party that the Burton family throws at their house every year for about 1500 people. 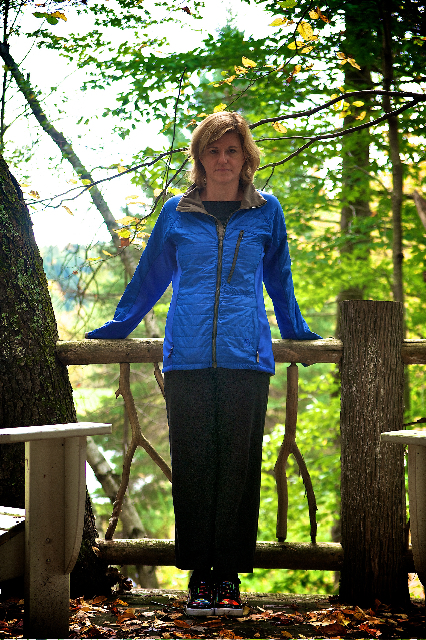 Donna was amazingly calm for someone who is about to have 1500 people show up at her house in a few hours. After chatting about all things snow related, I asked if she had a favorite spot around the house where we could take some portraits. 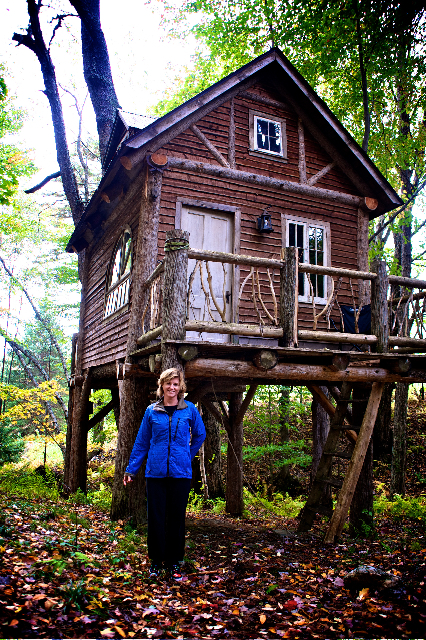 Right away her answer was “the tree house.” She told me how she had always wanted a tree house, so when the Burton family went on their around-the-world tour for a year, Jake arranged to have one built. When they got back it was ready and waiting! The portrait shoot was a rather rushed affair, but thanks to choosing a location Donna liked, she was relaxed and gave me a great smile. 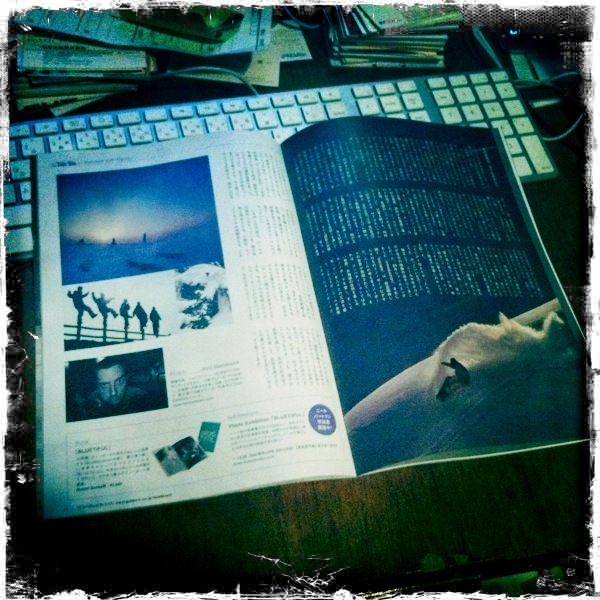 This interview was translated into Japanese and used in an issue of Trans-World Japans Snowgirls special issue. It was very much edited down in Japanese to less than one page. I think it deserves to be shown in full here. Enjoy. Neil: How did you get involved in Snowboarding? N: Is that really true? Yes, it is really true. It was 1981 and I was up in Vermont skiing. I was living in New York city, and when he said his name was Jake and he was making something called a snowboard, I thought I am from New York and I am way too cool for this guy. 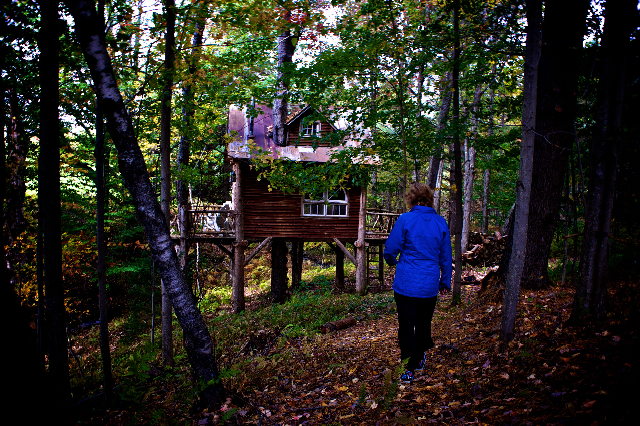 But something happened and I found myself living in Vermont a year later. Then I wasn’t planning on getting involved in the business, but right after we got married we talked about moving to Europe for a year. We had both spent like a year abroad traveling in Europe and we were both really interested in more traveling. We wanted to do that before we had kids. Jake was also at the point where he was making the transfer to making the boards in Europe. When I met Jake the boards were just a piece of wood with some rope and two fins. Jake was really interested in applying ski technology to the boards. So he thought he could go over there and work on that. I was able to get a job in Austria with a university. Before we left, Jake asked me to take a look at some paperwork coming in from Europe and next thing I knew I was setting up a sales office and telling the university that I couldn’t work. From there it was amazing how quickly it all grew during that time in Europe. In total we stayed four years. So I met Jake in 1981, we were married in 1983, and we left for Europe in 1984. We really wanted to go there before we settled down too much. N: From your experience in Europe, and now you also are covering Asia, how have things changed in these very different markets over time? D: One of the major changes for Europe over the years has been the opening of the Eastern Block. I remember when I was there we used to have kids from Eastern European countries write asking us to send them stickers and catalogs because they could not get any information. Nothing was allowed through the “Iron Curtain” back then. Before the EU, the borders were very distinct, so even to get something from Austria to Germany was an ordeal. So with the “walls” coming down you are seeing less isolated cultures, things are influencing other areas, the East is influencing the West, etc., so it is interesting to watch. Europe continues to have a strong alpine mountain culture. Concerning Asia, I have always been familiar with the Japanese market, but this is the first time I’m really getting involved on a company level. So once I have it all figured out, I will let you know, ha ha (laughing) No just kidding. Personally I love Japan, so it is great for me. It is a more mature market with an aging demographic and right now I think we have to figure out a way to get more young people excited about the sport. Just like a generation ago when there was such a huge boom in snowboarding in Japan. One thing that is different about Japan is that there really isn’t an action sports culture there. In Europe, the US, and even Australia, you will see a lot of people wearing clothes with action sports branding, but you don’t really see that in Japan. So that is the challenge, how to make snowboarding exciting and a part of people’s lives in a culture that is not focused on action sports. Of course I love the excitement and devotion that Burton fans show us in Japan. N: How long have you been in charge of Asia? D: It has been six months, and I will be going to Japan again in just a few weeks time. N: Do you have any advice for women selecting hard good products. D: I think that a lot of women ask me about specific products for women, and I have to say it really does make a difference. It is not a cosmetic thing. 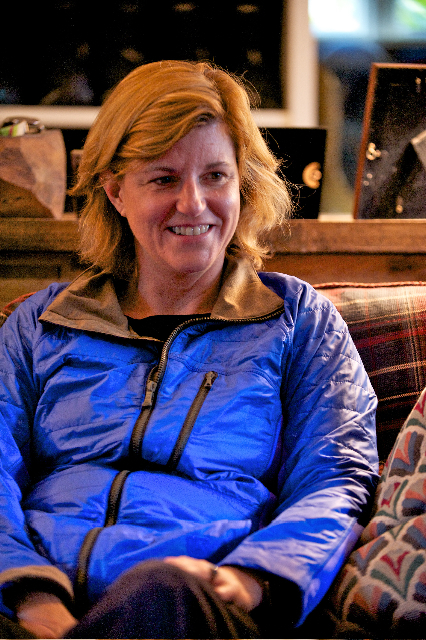 Burton spends a lot of time with our team riders in developing product that is going to work for women. So I do recommend women’s specific products. Sometimes, I ride a guy’s board, but I think the most important thing is women’s specific boots. If I can give girls one piece of advice, it would be to find a pair of boots that really work for your feet. Bindings are important too, but most important is boots. Then I would say try different things, because I think we get afraid to change things. We get one board with one stance and we stick with that because we are used to it. I was guilty of that for years, but now I find that if I try a different board or maybe change my stance my riding will keep progressing. N: What are the good points and bad points of being a female snowboarder? D: I cannot think of any bad points. At my age, it is cool to be the mom out there riding. Everybody says “wow your mom can ride!” At every stage in my life I have found it to be nothing but positive. There were downsides before we started making women’s specific products. My feet would hurt, because I was wearing men’s boots, the bindings never quite fit right, but now we have a set up designed for us so it makes it easier. D: Yes this is something that I started about six years ago right after we came back from our around the world trip. 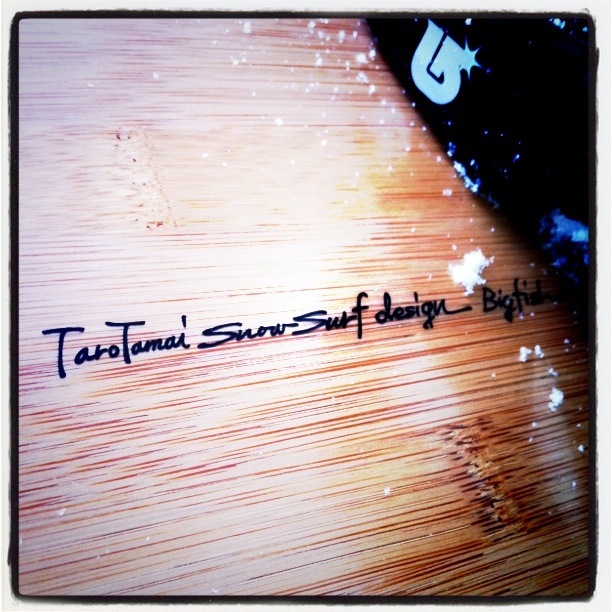 Snowboarding as a sport, snowboarding as an industry and Burton as a company is rather male dominated. What I have always found really interesting is that the percentage of participation by women in snowboarding is 30%, and for a long time the same held true for the percentage of female employees at Burton. So I think you really need to be more proactive about recruiting women, retaining them and advancing them within your organization. We didn’t start out that way though, in the beginning we probably had more women in manager positions then men. Then what happens is you grow very quickly. So you are recruiting people from other sports like skateboarding, surfing and skiing which are all very male dominated industries. So all of a sudden we found ourselves with a kind of male culture. I think it was Jake who was in a global directors meeting. There were 20 people in the room and there were only three women, and he said, something is wrong here! I think he had a real instinct that when you don’t have diversity you can get stuck, you lose the innovation. So Jake asked me to come in and work on this problem. I thought it would be a short term project, but it has turned into a much longer passion. We are looking at how we could get more women into the organization. Then we had to create maternity programs and flex programs. We were investing in women right up until the peak of their career in their 30’s, and then they were leaving when they had children and they wouldn’t come back. So we have done a lot of work around that. Originally this program was only going to be an internal initiative, but it was Jake who said it should grow beyond that. Burton has been making products for women from the very beginning; the US Open has always been equal prize money from the beginning. The X-Games just changed two years ago, so I think Burton was really progressive in that way. I realized early on that the people in the office making the decisions about product and marketing have the biggest effect on what the end result looks like. In the beginning the women’s line was just a part of the men’s line. One of the big things to come out of this initiative was to divide into a men’s and women’s creative group. Burton has such a great process with the team on the men’s side, but we just weren’t using it on the women’s side. So we had to create that process of working with our women’s team to build the needed product from the ground up. N: So you have seen big changes? D: Huge changes. The outerwear has changed so much for the better, plus we have more women at the director level of the company, and the market has grown for us globally. I think that does help keep a company fresh, but we still have a lot of work to do. One of the great things that came out of this program is our mentor program. We learned that women really crave a mentor in the company. So we created this mentor system and it has been recognized nationally. It was so successful with the women that we expanded it to all employees. It is the same with all the changes to the maternity system. Now we give men paternity leave and they love it. So it has helped the whole company. So MY goal is to have 51% of the employees be women and 51% of the sales be to women! N: If you had not met Jake, how do you think your life would have turned out? D: I can’t even imagine it. In college I was majoring in International Relations and I knew that I wanted to do something internationally, and I have always been passionate about helping women and girls. So I have been able to transfer that to what I am doing today. So I don’t even want to think about life without Jake! N: Japan has a lot of domestic brands who build their women’s teams based not on riding skills, but more on looks. How do you feel about this? Now that is changing, there is a whole new generation of female snowboarders who are defining what’s cool and what’s right for them and how they want to look on the mountain. So it is important for me to use real team riders to get that message across rather than models. That has always been our philosophy; the riders are driving the sport. N: Is there a team rider you are really excited about? D: I love all of them and for the last three years there has been a real team spirit and that is what I really love. At the Olympics, it was great watching Hanna and Kelly support each other. They are real friends; you don’t see that in other sports. In women’s skiing there was a public fight going on between the two main athletes. What I love about snowboarding and our team is how much they support each other, and how happy they are when the other does well. You see the same thing on the men’s side with the Frends crew; I think it’s just the mentality of the sport. N: Do you have any message for Japanese snowboarders? D: Get out there and ride! I think Japan has some of the most amazing mountains and great terrain. Whenever we ask a team rider where their favorite place to ride is they say Japan. And seven years ago when we took a year off to travel around the world, I asked Craig’s wife to come with us for part of the trip. I said where do you want to go, anywhere in the world, and she said Craig always talked about Japan, so I want to go there. You have something really special in Japan, so get out there and ride and appreciate what you have. N: The snow girl readers might not get to the mountain many times each season, what do you say to that type of rider. D: I would say keep doing it as much as you can. It is hard when you are working, or you have kids, and if your life is in the city, it is hard to get away. But even if you are only going a few times that is great. I would say to those people be aware that your equipment is even more important. 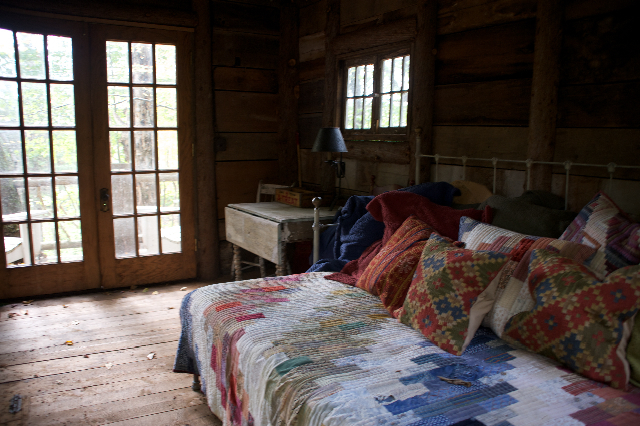 Make sure you are comfortable and warm so that you can have a good experience. Santa showed up a day early, check out what I got over on my www.honeyee.com blog! 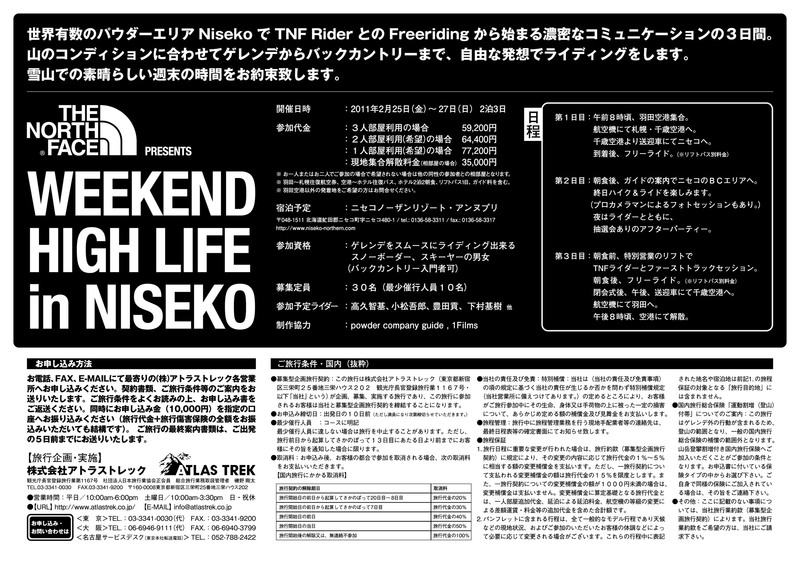 The North Face presents a two night three day tour and event in Niseko! I am going to be joining the tour as official camera so I hope to see you there. This is going to be a great tour. Takaku Tomoki and his Powder Company crew will be leading us around to all the best spots! I missed this event last season due to being injured so I am really excited to join this time! 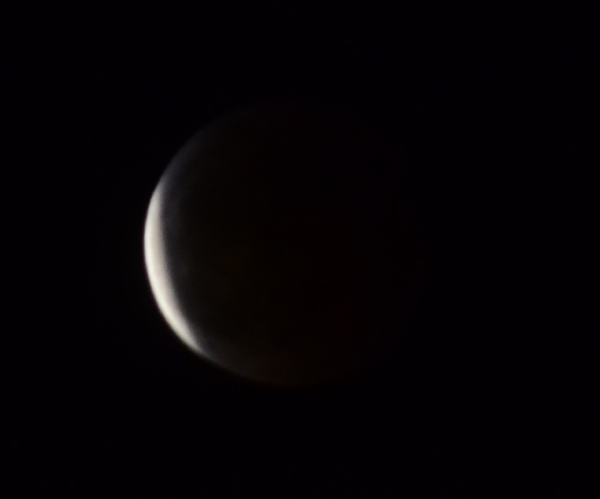 Just when my wife and kids got home after dark I walked outside and saw that the Moon Eclipse was happening right at that moment. Sapporo was dark and clear! 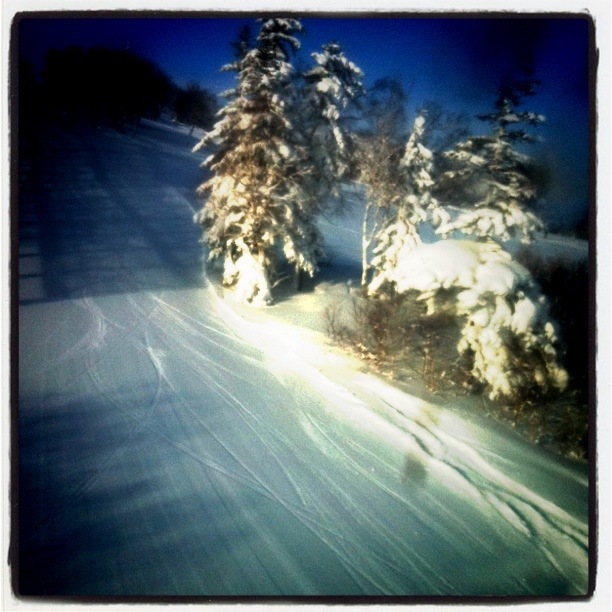 No snow falling no clouds in the sky! 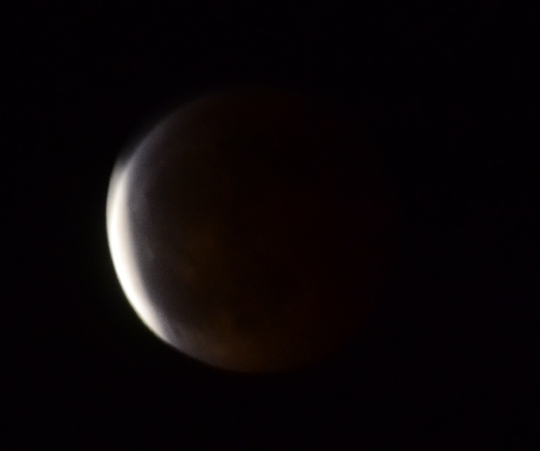 Ten minutes later I put my 300mm lens on top of my Tele Plus converter and put that set up on my D3100. 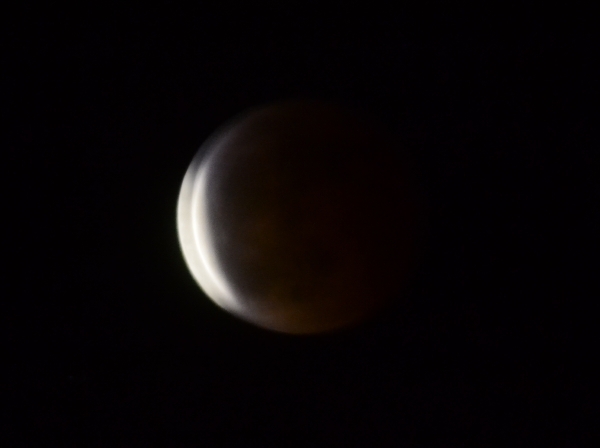 I took a couple of shaky shots hand held out the window…. Nothing special but that is all I could manage with crying kids and things to do. Hope you also got to see the celestial entertainment this evening!